A scenic 40 minute seaplane journey from Male will take you to the elegant Kuredu Island Resort, situated on one of the Maldives’ most prominent islands. 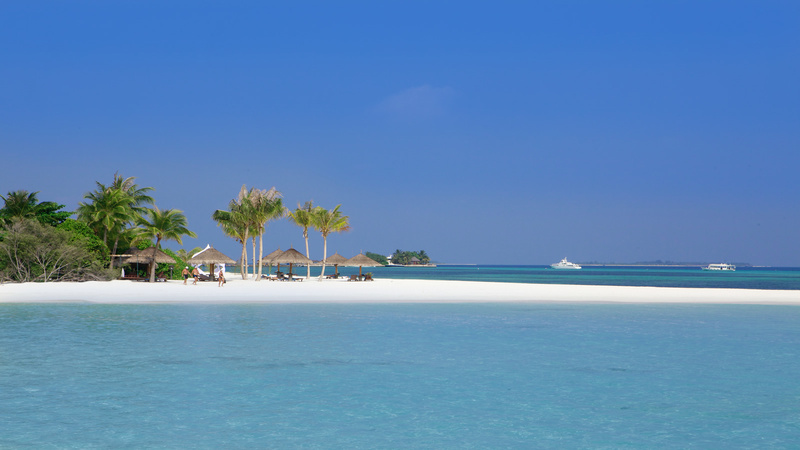 The stunning Lhaviyana atoll boasts miles of breath-taking beaches, making Kuredu Island Resort highly recommended for a relaxing holiday in spectacular surroundings. 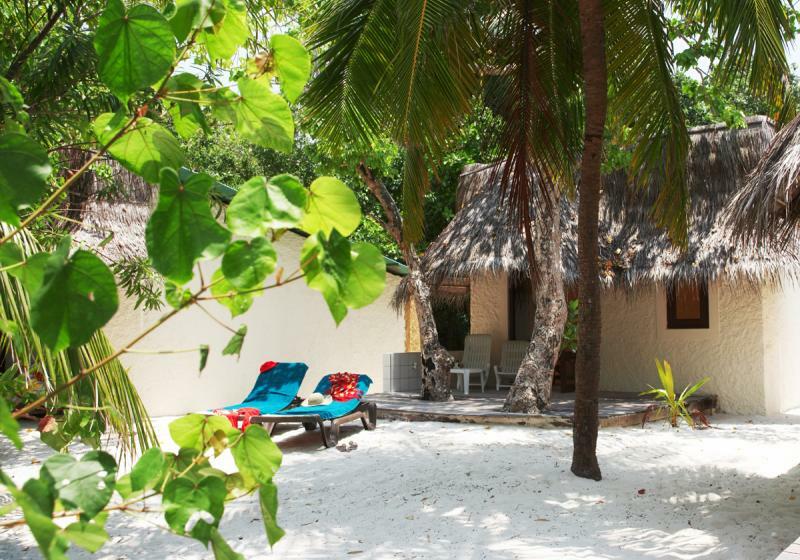 Kuredu Island Resort provides the perfect balance of lively entertainment, thrilling activities and opportunities to relax whilst listening to the calming sound of the Indian Ocean. Being known as a diver’s paradise, don’t miss out on exploring some of the most amazing marine life and colourful reefs of the area. 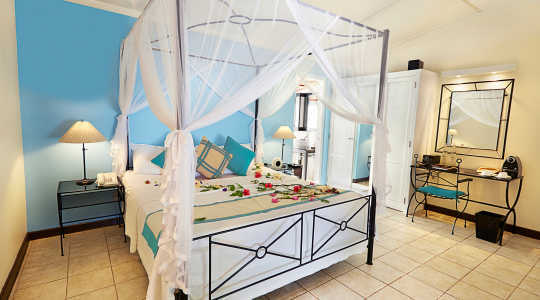 The Garden Bungalow (56 sqm), is located only a few steps away from the stunning white beach and is perfect for families. If you are looking for comfortable accommodation surrounded by magical tropical scenery, the Garden Bungalow is the perfect for you. 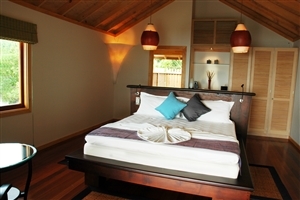 The Garden Bungalows have similar features to the Beach Bungalow and here you can relax and unwind in your own private terrace. 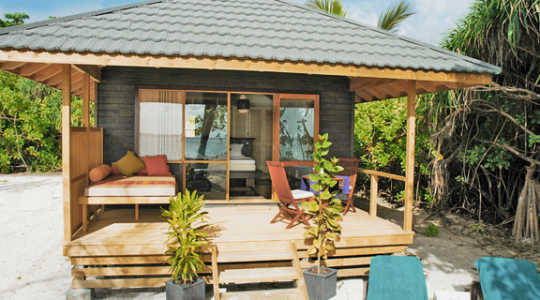 The Beach Bungalow (56 sqm) is the perfect escape from the Maldives sunshine, with its open-air bathroom and walk-in shower. 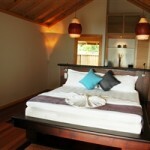 Cool off in the Beach Bungalow, furnished with cosy rattan furniture and an indulgent comfortable bed. Your private terrace provides access to the resort’s landscaped gardens, but sink into your sunbed and switch off completely to really take advantage of the lovely Beach Bungalow. When you are thirsty you can enjoy sipping a refreshing drink from your private minibar. 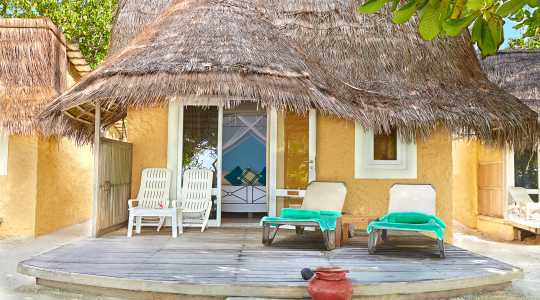 The Beach Villa (60 sqm) with its extraordinary views of the warm Indian Ocean, offers comfortable accommodation only a few steps of the striking lagoon. 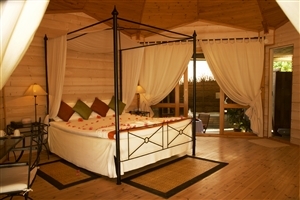 The delightful bedroom with its romantic four poster bed and chic sitting area is perfect for relaxing after a day of soaking up the sun. 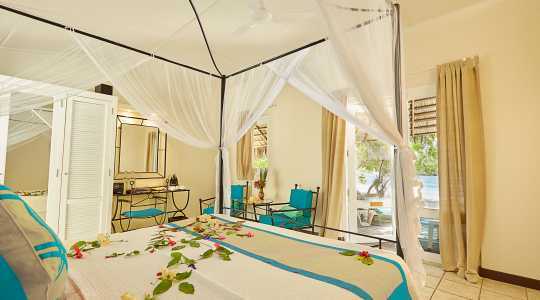 The exquisite open-air bathroom complete with walk-in shower is a luxurious addition to the Beach Villa, as is the large veranda and garden area. 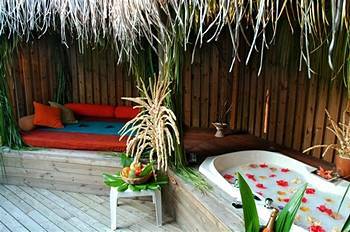 The Jacuzzi Beach Villa (76 sqm) is the ideal choice if romance and luxury is what you are looking for in your Maldives holiday. 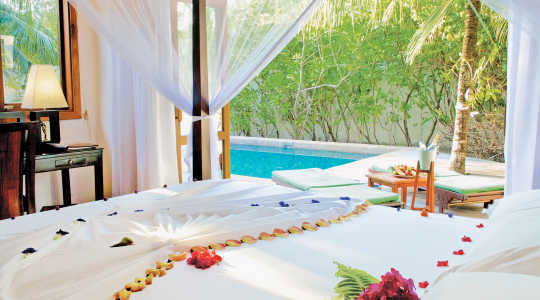 Boasting amazing views of the tropical surroundings and being close to the stunning Indian Ocean, a stay in the Jacuzzi Beach Villa resembles a stay in paradise. 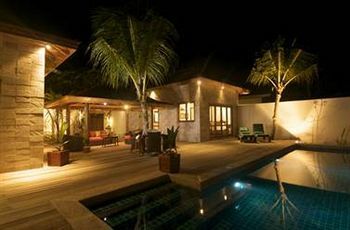 These villas feature a private veranda with a Jacuzzi, as well as a pretty garden area. 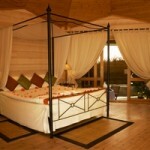 Inside you will find a beautifully decorated bedroom with a four-poster bed and 32-inch flat screen TV. 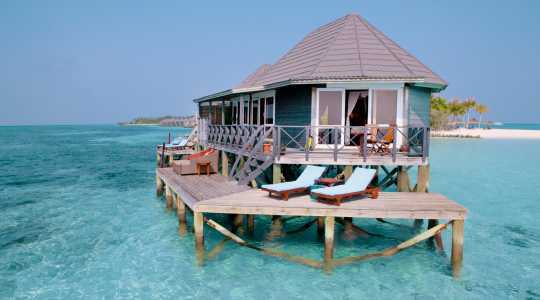 The Sangu Water Villa (70 sqm) is highly recommended if you want to be as close as possible to the marvelous Indian Ocean. 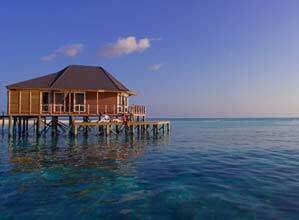 The lavish Sangu Water Villa is actually set upon wooden stilts secured in the glistening shallow waters on the lagoon’s North West side. The location makes for amazing sunsets, as well as a great view of the reef’s baby sharks. The stunning Sangu Water Villas are spacious and boast a large veranda for cocktail sipping in the evenings. 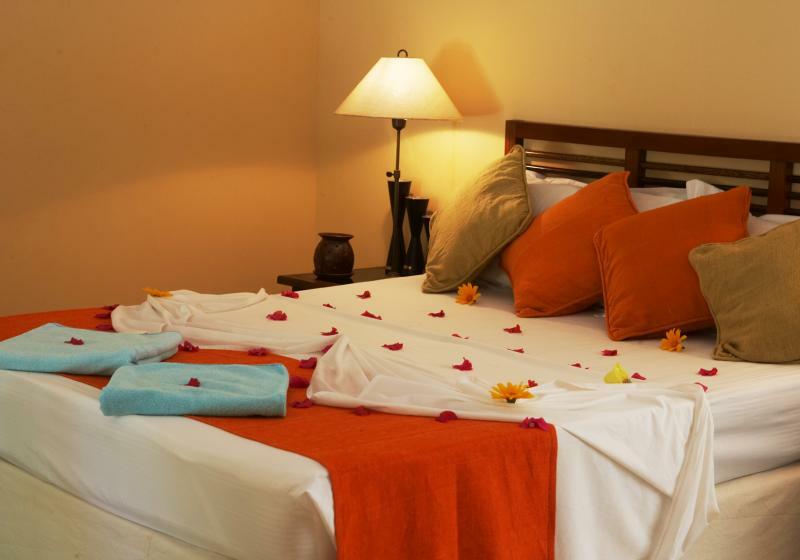 The main feature is the steps leading directly to the lagoon beneath you… The bedroom is beautifully decorated and includes a sitting area. 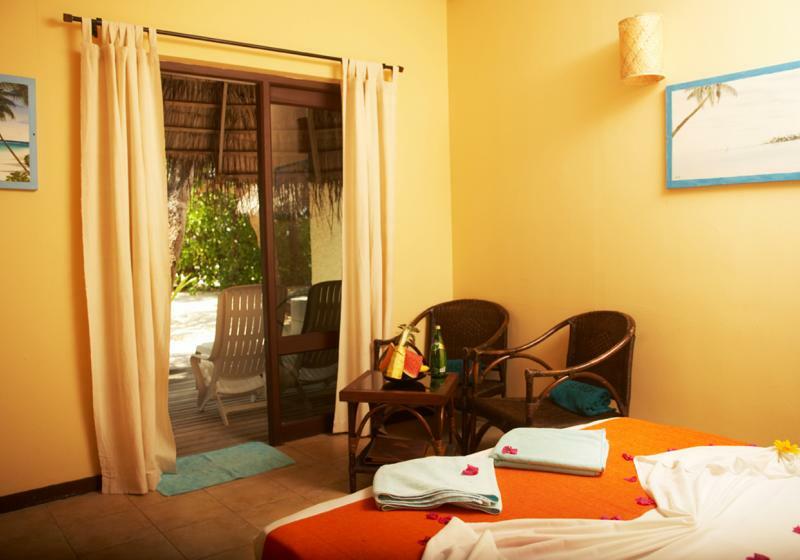 Your private open-air bathroom overlooks the beautiful turqupoise lagoon. 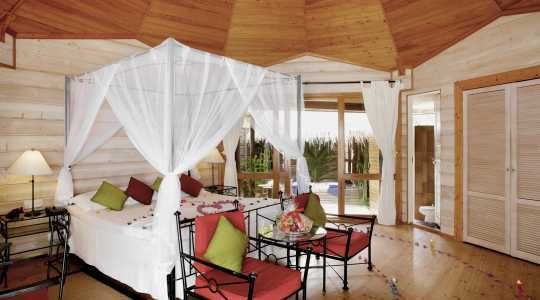 Guests of the Sangu Water Villas can choose to check-in at a separate Reception area for added privacy. A single water villa for couples, similar to Sangu Water Villas but more spacious with a living/dining area and a romantic Jacuzzi bath. 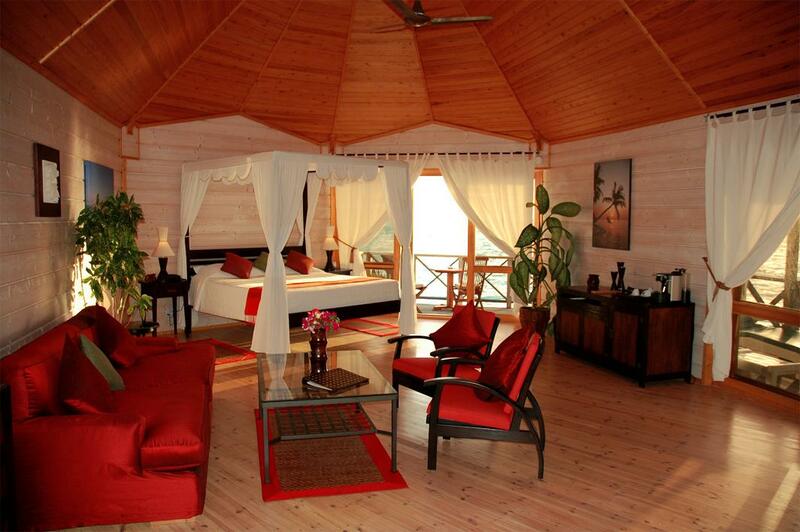 With glorious water views and a romantic atmosphere, this villa is ideal for honeymooners. 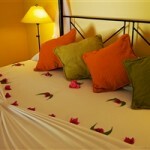 Set back from the sandy beach nestled between tropical vegetation with a private pool and luxury sun terrace. 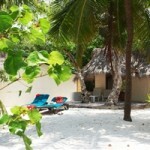 Kuredu Island Resort offer a plethora of facilities and activities for your convenience. How about laundry service, on-site shop, a boutique and a fully equipped gym? For days when you are feeling more adventurous, you have the opportunity to go scuba diving in the stunning Indian Ocean, go sailing, canoeing, deep sea fishing, visit the golf course, play beach volleyboll, badminton or explore your Maldives surroundings on a catamaran. 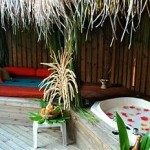 The Duniye Spa is ‘the’ place to relax. A visit here, whether it be for an amazing hot stone massage or a exfoliating facial, will appeal to all your senses and help you rejuvenate yourself. This is the time to leave your stresses behind during treatments inspired by traditional healing techniques from. Your experienced spa therapist will use a high touch instead of high tech approach, ensuring a completely serene experience. Dining at Kuredu Island Resort is an extraordinary experience – sure to satisfy the pickiest of tastebuds. 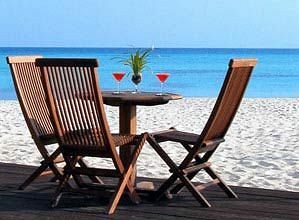 It is also possible to dine at the beach, for the ultimate holiday dinner with sand between your toes. Bonthi Restaurant, located close to the Beach/Garden Bungalows in the signature building, serves a wide range of local and international delicasies. The fun theme nights and the fact that there is no age restriction make this restaurant ideal for families. If you are staying in the Beach Bungalow, you will enjoy all your meals here. Koamas Restaurant, which serves local and international buffet food, is located in the same building as Bonthi Restaurant. This restaurant is excellent for families with young children. If you are staying in the Beach Villas or Jacuzzi Beach Villas, you will be having breakfast, lunch and dinner at this restaurant. Sangu Restaurant in the west corner of the island is an exclusive restaurant with a varied menu of culinary delights. 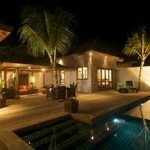 This restaurant is only available for guests of the Sangu Villas (only over 18s allowed). ‘O’ Restaurant is ideal for mature guests seeking a romantic place to dine. Set over the water, you can hardly find a better spot to enjoy the sunset over the Indian Ocean together with your loved one. Serving an excellent selection of tantalizing buffets, you can dine here for breakfast, lunch and dinner. This restaurant is only available for adults. 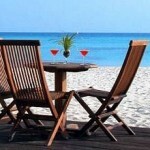 The Beach is all about experience dining the island way. Serving an a la carte menu, The Beach is a laid-back restaurant with a vast selection of tasty dishes including lobster, BBQ steaks and fresh seafood. The Far East will appeal to fans of South East Asian cuisine. The sophisticated a la carte menu is created by the restaurant’s very own Thai Chef. Here you will enjoy inspired Asian dishes, such as mouthwatering Lobster Curry. Francos is where you will enjoy delicious Italian food and snacks between 10 am – 11 pm. The hearty dishes include sandwiches, pizza and pasta. 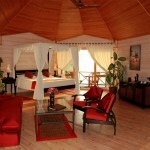 Kuredu Island Resort also boasts no less than seven bars, each suitable for different occasions. Guests in the Sangu Water Villas, Beach Villas and Jacuzzi Beach Villas can eat in other restaurants than their allocated one, subject to prior table reservation. 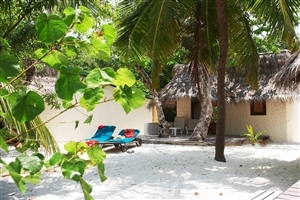 Simply Maldives Holidays offer Half Board, Full Board and All-Inclusive Packages for guests staying at Kuredu Island Resort. – Alcoholic and non-alcoholic Beverages served in your main bar. 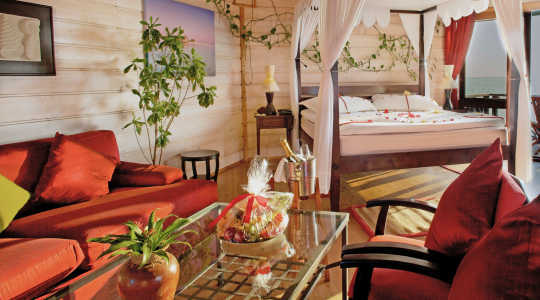 A complimentary fruit plate, a bottle of sparkling wine and flowers in room on arrival.